About us – Villages of the future e.V. The basic idea of the association, which is also visible in its name, was established in the 1960s. It is based on the will to create a better world. In the last 50 years, numerous communities have been established all over the world, where people come together in order to work on a sustainable basis and live together in a peaceful environment. One of the pioneers of this idea was Paulus Johannes Lehmann, who passed away in spring 2014 at the age of 85. He convinced numerous people in Germany and Asia to get involved in the idea of a better and more peaceful world, where people can live in harmony with nature. In 2007 – on the occasion of their golden wedding – Mr Lehmann and his wife Ilse Lehmann made a 6-month trip across India. During the trip, they saw countless people living in misery and suffering. When Paulus Johannes Lehmann saw these people, he knew he had to do something about it. Thanks to his wide-spread personal contacts to people all over Europe, he managed to organize a conference in Frankfurt in 2008 where people discussed about the problems in the world in general, and in India in particular. The result of the conference was a loose association of experts from various fields. They decided to design and build a “Village of the Future” together. The idea was to implement the concept of this Village in as many regions of the world as possible. The highest priority of “Villages of the Future” is to offer trainings and professional education for young people, e.g. in the construction with and processing of loam; the installation of dry toilets and basins for water retention, which could be used in residential houses as well as on farms; in natural cooling and heating of ambient air; in ecologic agriculture; in the cultivation of dry plants for the firing of cooking stoves; in the cultivation of medicinal plants; in the construction of graineries, constructed wetland, small biogas plants, photovoltaic plants and small wind turbines. The young people should also have the possibility to be trained in the fields of geriatric care, first-aid and hygiene. The association has currently 14 active members. 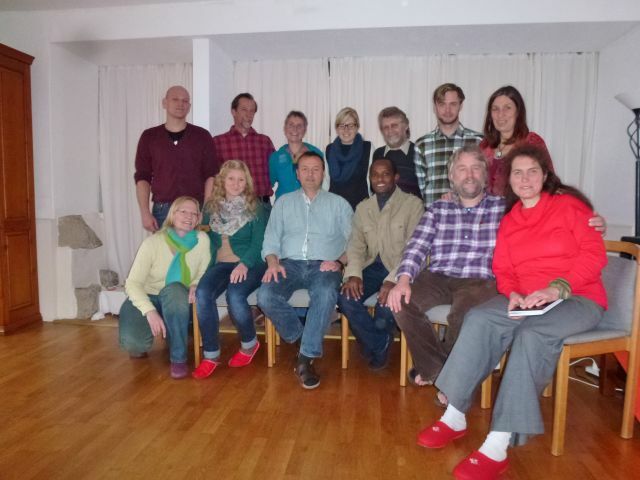 The last general meeting of members took place in October 2014 in Sasbachwalden in the Black Forest. Would you like to support our work on a regular basis and contribute to it not just financially? Then why don’t you become a member?